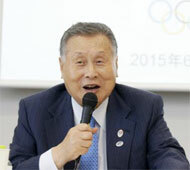 24th April, London: Twenty-six International Federations submitted applications for inclusion as additional events in the Tokyo 2020 Olympic Games as revealed at a press conference following a Tokyo 2020 Executive Board meeting in Tokyo. The Tokyo 2020 Organising Committee has received applications from 26 IOC-recognised International Federations (IFs) proposing events to be considered for inclusion at the Games of the XXXII Olympiad (Tokyo 2020). 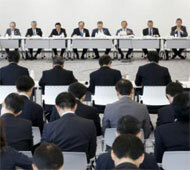 The applicant IFs were revealed at a press conference following a Tokyo 2020 Executive Board meeting today. The application process for additional event(s) to be included at the Tokyo 2020 Olympic Games was opened on 8 May 2015, and the IOC-recognised IFs were required to return completed applications by 8 June 2015. The Tokyo 2020 Additional Event Programme Panel will now examine each application and a shortlist will be announced on 22 June 2015. The second phase of the application process will then commence. Phase II will include the submission of further details from the shortlisted IFs and a presentation to the Additional Event Programme Panel will take place in Tokyo. The Additional Event Programme Panel will propose its recommendations to the Tokyo 2020 Organising Committee, which will make a final decision on the successful event(s) to be proposed to the IOC. The final decision, in line with the Olympic Charter, will be made by the 129th IOC Session in Rio in August 2016. Photos courtesy of Tokyo 2020. 8th Mar: Kuwaiti wins first-ever tour title. 7th Mar: Swede wins first PBA Tour title. 28th Feb: Qatari youth wins opening leg. 27th Feb: Indonesian wins first WBT title. 26th Jan: Top seeds wins Masters gold. 14th Dec: Korea dominates Masters finals. 3rd Dec: Maiden victory for Saudi. 2nd Dec: PBA rookie wins first tour title. 27th Nov: Third Qatar Open title for Brit. 22nd Nov: Korean women wins first major title. 27th Oct: Memorable victory for duo. 26th Oct: Top seeds win Masters titles. 15th Oct: Bahraini wins second tour title. 14th Oct: First major title for Emirati. 2nd Oct: Korea adds two more gold. 25th Aug: Fourth PBA title for Finn. 15th Aug: Japanese, Swede wins Masters gold. 23rd Jun: Double joy for Indonesia. 22nd Jun: Top seeds win Masters titles. 16th Jun: Hong Kong, Indonesia ends drought. 15th Jun: Victory for Emirati and Malaysian. 7th Jun: Back-to-back titles for Malaysian. 1st May: Second tour title for Saudi. 30th Apr: Bahraini, Egyptian triumphs. 17th Apr: Maiden victories for debutants. 16th Apr: Swede, Thai wins Masters titles. 17th Mar: Big win for Thai, Indonesian. 15th Mar: Emirati clinches maiden tour title. 14th Mar: Dane wins second PBA title. 8th Mar: First double for Emirati. 7th Mar: Emirati wins first WBT title. 28th Feb: Barnes wins second PBA international. 16th Feb: Japan wins two gold in Masters.